We’re excited to share the topic and questions for this week’s #HITsm chat happening Friday, 2/8 at Noon ET (9 AM PT). 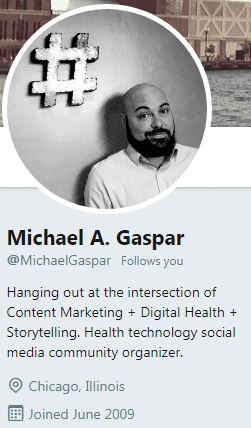 This week’s chat will be hosted by Michael Gaspar (@MichaelGaspar) and the #HIMSS19 Social Media Ambassadors on the topic of “The Role of Social and Digital Media in Enabling Health IT Innovation”. The HIMSS19 Global Conference and Exhibition is just around the corner in Orlando, FL. As we head into the HIMSS conference, we’re excited to have the HIMSS social media team along with the HIMSS Social Media Ambassadors hosting this month’s #HITsm chat. Just days before we all head to Orlando for some better weather and some great Health IT conversations, the #HITsm chat will be focused on best practices and guidance on how to leverage social and digital media to enable health IT innovation. Plus, if that’s not enough, as a prelude to this chat, be sure to check out the #HCLDR chat on Tuesday which will eplore opportunities for health ifnroamtion and technology leaders in 2019. If you’re planning to be at HIMSS 2019, be sure to check out the Healthcare IT Today meetup schedule. Join us on the #HITsm chat on Friday and then meet many of the social media ambassadors and other social media influencers in person at the HIMSS 2019 conference in Orlando.